let our experienced guides show you how to have the most fun at the whitewater park. learn how to paddle into the wave, surf and stand up through the rapids. Contact our Gunnison Staff to spend a epic day athe Gunnison Whitewater Park surfing. 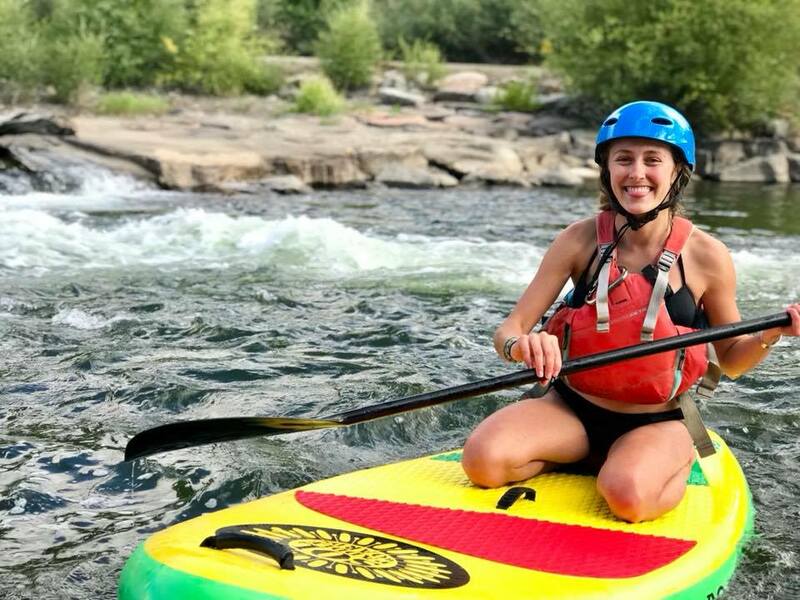 During this trip you will learn how to paddle into the wave to be able to surf, how to paddle through the wave down the river standing up, and enjoy plenty of time to hang loose at the Gunnison White Water Park. *The final decision to allow a patron to take a tour is at the discretion of Wheelies and Waves. The safety and enjoyment of all patrons on our tours is our top priority. If Wheelies and Waves deems an individual not suited to take a higher level tour, it is with your safety and enjoyment in mind, as well as the safety and enjoyment of other paddlers on the tour. We will recommend a tour that is comparable to your ability level so that you have the most fun, in the safest environment!